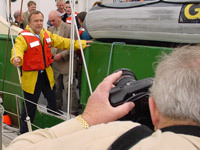 Defending Our Oceans - Was in charge of ezines and online content as part of what was both Greenpeace's largest ever project, and a new way for the organization to work internationally. Produce a twice-monthly ezine in 12 languages for 29 different audiences (list segments), feature stories and other content - plus looked after the ship's weblog. Site averaged about 100,000 visitors per month, each lasting an average of about 7.5 minutes. 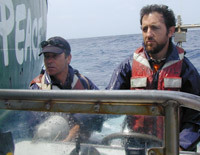 Defending Our Oceans - Southern Ocean - Was the senior on board web editor for Greenpeace's largest ever Southern Ocean expedition. Produced daily updates, provided guidance to my fellow web editor and the campaign. Countered misleading attacks from pro-whaling groups. We met our campaign goal of using consumer pressure to get a major backer of whaling to withdraw their financial support. Climate-Energy section redesign - Overhauled the section of the Greenpeace International website dealing with climate and energy issues. Completed a web audience needs and goals analysis. Then analyzed existing content compared to needs/goals and campaign structure. Developed a site plan and navigation expanding the section from nine to 44 pages to reflect consensus need for increased site depth. Tested approved site plan structure. Produced new content (drafted text, photo selection, graphics compilation) for pages needed to relaunch section. 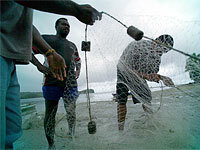 Built and delivered overhauled section in Greenpeace's content management system. Delivered recommended steps for moving forward. 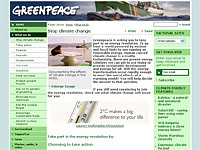 Greenpeace International web editor - I occasionally work as part of the Amsterdam based web team. Duties include writing, photo editing, tactical and strategic planning, organizing the web component of ship tours, community building and being on call for emergencies. Significant accomplishments include coordinating the web component for one of Greenpeace's largest ever protests. My role included creating a structure/process for the web component and managing a five person field team from the office. Together we brought the protest, and its message, to our web audience. I was also the coordinator for a portion of a recent Forests campaign major push - this included implementing a community based activist site, updating and relaunching the Kids for Forests site, overseeing subcontractors, and helping to produce materials such as paper purchasing guides. Pacific Islands fisheries tour - Telling the stories of Pacific Islanders, the importance of fishing in their lives and the state of the Western Central Pacific fishery. I spent much of this tour talking to artisanal and industrial fishermen. I created the site, prepped background material, and wrote/edited content during the tour. Content was mostly text and static pictures due to the importance of the low bandwidth Pacific Island audience. 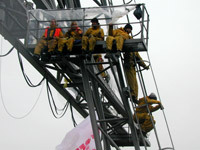 I also assisted the Greenpeace documentary crew (as an interviewer, etc.) traveling with us. Indonesian forests - Part of this job was preparing for possible nightmare security scenarios since we would be in a fairly lawless area. A high degree of sensitivity towards the safety of local activists was also required. And, because we never went into the forest, I had the additional challenge of telling the story of a forests campaign from off shore. I created the site, then working from the ship produced a Flash intro and text updates. Plus, I oversaw the production of video clips for the tour website. 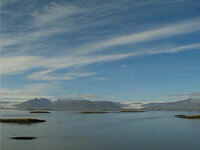 Iceland whaling - After a long hiatus, in 2003, Iceland resumed whaling. I was on board the Rainbow Warrior when a last minute decision was made to divert the Greenpeace ship from its work in the Mediterranean for a high intensity listening tour around Iceland. The centerpiece of the campaign is an online pledge prospective tourists can take to promise they will consider visiting Iceland only after it stops whaling. I created and managed the tour site (it was redesigned for the 2004 tour), and produced content from the ship - audio clips, panoramic photos and a small Flash piece. I was also the back-up photographer. UPDATE: In June 2004 the Icelandic government announced their decision not to hunt sei and fin whales, and to cut back their quota from 500 minke whales over two years to 25 minkes this year. Greenpeace ship Esperanza's first tour (forests campaign) - The first job for Greenpeace's newest vessel was a series of actions against shipments of wood from ancient forests to northern Europe. I was brought in at the last minute to be the web editor, and within 24 hours of stepping on board was documenting a major action. German sawmill (forests campaign) - During some down time for the Esperanza, I spent a few days in the mud and rain with the Greenpeace Germany action team. On this one I did my own photography. Protest against plutonium transport (departure) - I was the on board web editor for this protest in Japan. The challenge was to build up to a one-day event, which was done with eleven pre-protest stories. Nuclear Free Irish sea flotilla (arrival) - I was on board the Rainbow Warrior, which served as a support vessel for a flotilla of protest boats from Ireland and the UK. We did lead up work in Ireland, then met the plutonium shipment when it arrived to the UK, from Japan. For most of this tour I did my own photography. Antarctic expedition (against whaling) - Leaving from South Africa and ending in Australia, this was my second expedition down to the ice. Operating in this environment is a unique challenge. In addition to being the on board web editor, I served as a back up cameraman on this trip. 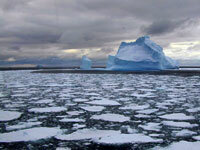 An archive of my first Antarctic expedition weblog can be found here. Writing, web editing, project management. Photography (shooting and editing), video, Flash multimedia production, IT support and technical communications. Backpacking, rock climbing, scuba diving, caving, wilderness rescue.